The police in Delta State have arrested a 32-year-old woman for allegedly stabbing her husband to death at Agbarha-Otor town in Ughelli North area of Delta State. Sources said that the incident occurred on Friday night when the couple were having a domestic fight over alleged extramarital affairs. The woman identified as Ese Erigarhe was said to have used a kitchen knife to stab the man identified as Mr Erigarhe when he returned home. 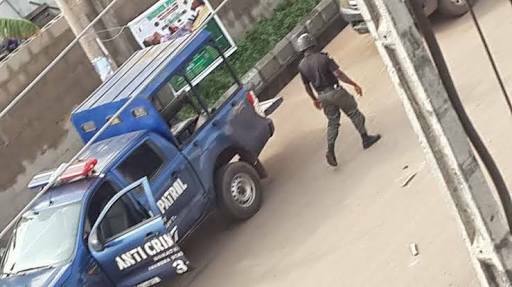 The suspect is being detained at the Ughelli Police Area Command for suspected homicide. She was alleged to have confronted her husband with the allegation of extramarital affair, which led to an argument between the two. A source at the Ughelli Central Hospital, who confirmed the arrest of the woman to The Punch on Sunday, said the 30-year-old man was stabbed during a domestic fight with his wife. The source, who pleaded not to be named, disclosed that Ese had owned up to the crime, claiming that her action was in self-defence. A police source at the Ughelli Area Command also confirmed the incident, saying, “The woman stabbed the man in the throat when they were fighting. She claimed to have done it while trying to defend herself during the fight.